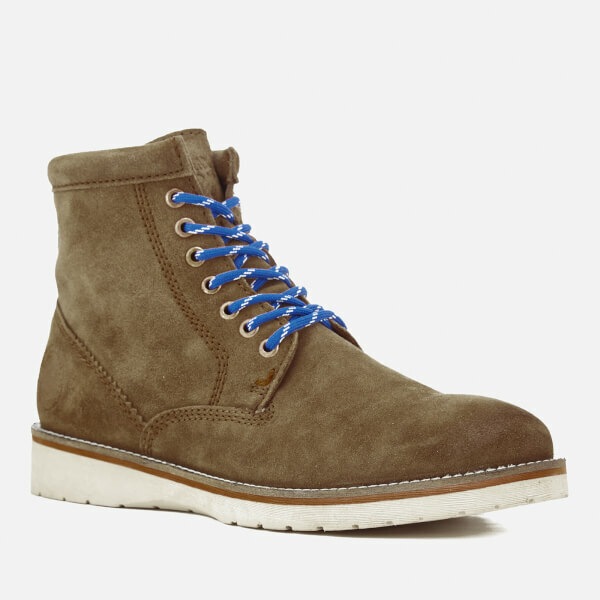 Men’s ‘Stirling’ leather saddle boots from Superdry. 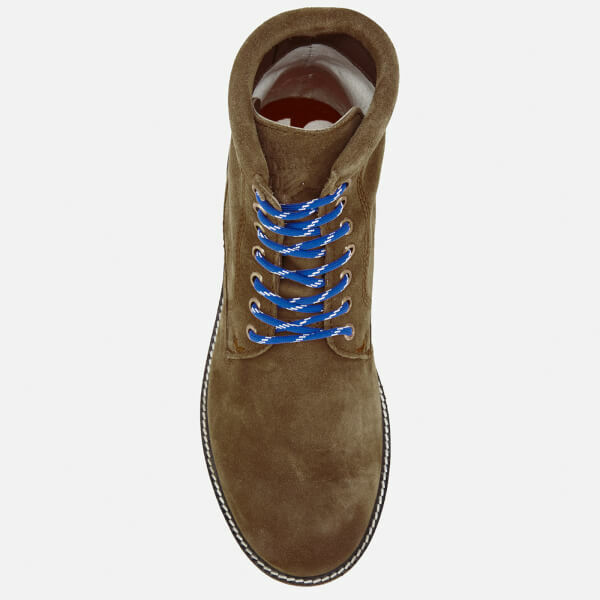 Constructed with premium smooth suede uppers, the ankle boots comprise a lace up fastening with metal eyelets and a rounded toe. 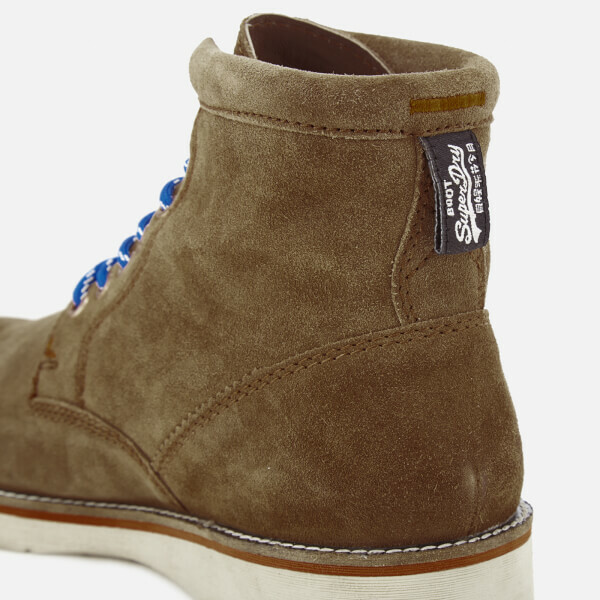 Featuring a contrast stitched welt and set on a chunky treaded sole. 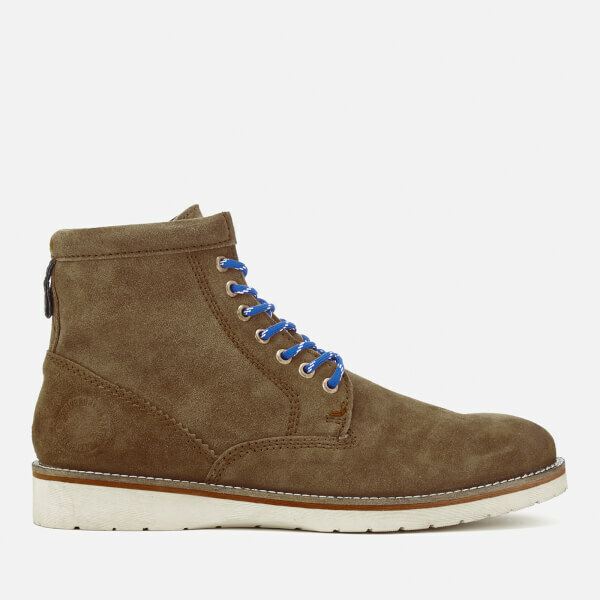 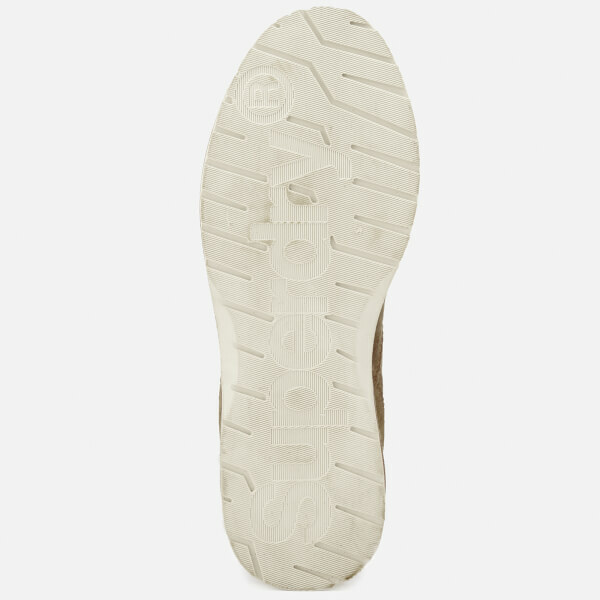 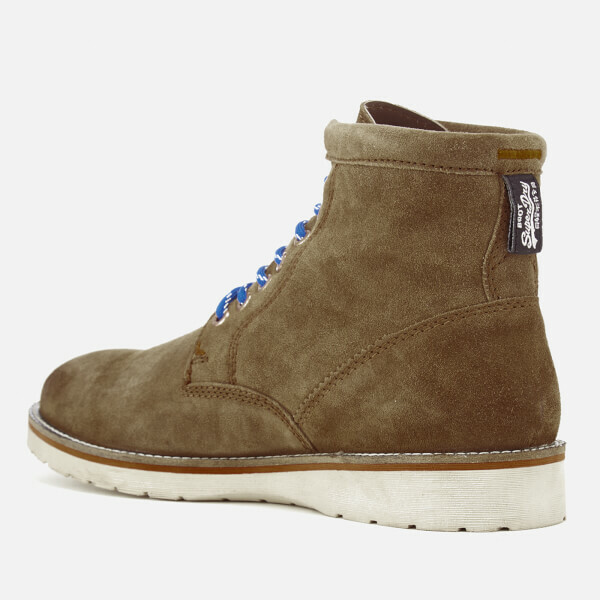 Complete with tonal Superdry detailing throughout and a branded tab to the heel counter.